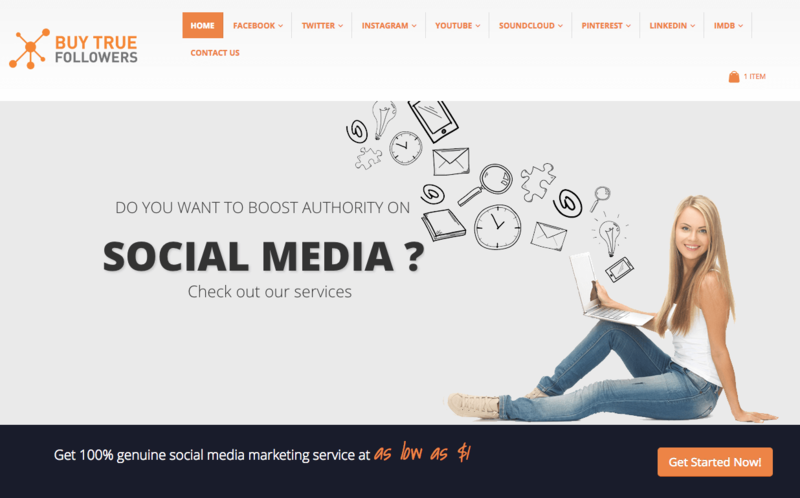 BuyTrueFollowers is a US-based company that offers digital marketing services for many different social platforms, even IMdB, with three different services for YouTube. Their claim to fame is their ability to deliver real social signals for as low as $1. Their website is very clean and clear of clutter, with their services always displayed in a scrolling header. 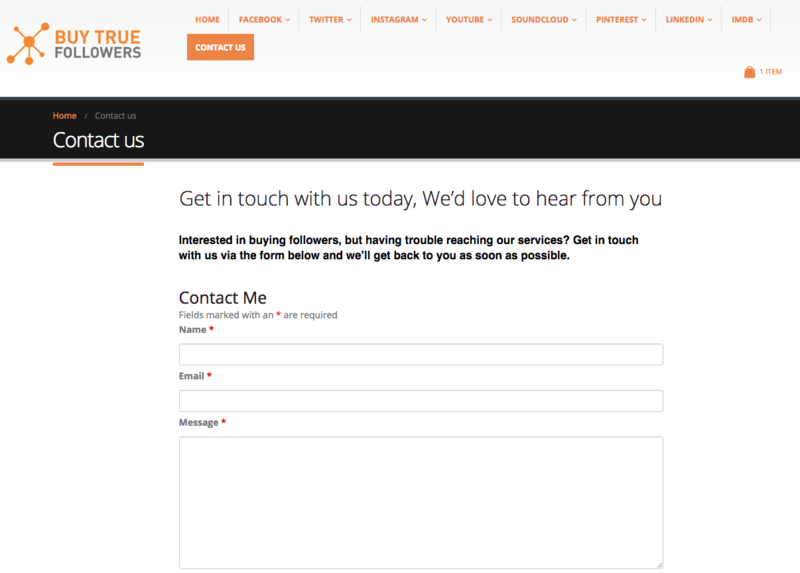 For customer service, you’ll find a window to leave a message on every page in the lower-right corner, as well as a dedicated contact page form. To protect you when you buy from them, they offer a 30-day retention guarantee on all services. If you experience a drop in any of your ordered social signals, such as youTube views, they will help you recover those numbers if it happens within 30 days. For a refund policy, they state in their Terms and Conditions that they will offer a 75% refund only upon non-delivery of the purchased service. On their YouTube views page they claim a 100% money back guarantee. 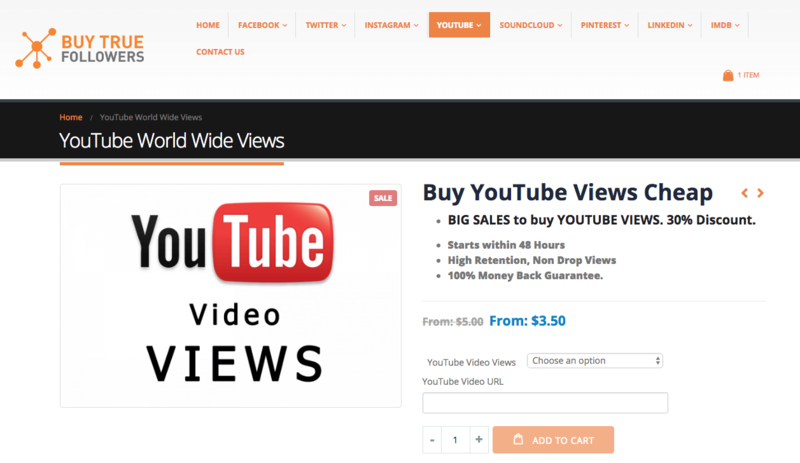 BuyTrueFollowers has a great array of services across all of social media, but they are a bit limited when it comes to YouTube. While one million views is nothing to sneeze at, they’d really open themselves up if they worked more on offering shares, dislikes, and comments. Their 30-day retention policy is nice, but the best providers we review offer at least one year, and the conflict between their ‘75% refund’ and ‘100% money-back guarantee’ causes us concern. If you really need one million views, or IMdB help, there are few other providers out there who can serve you. 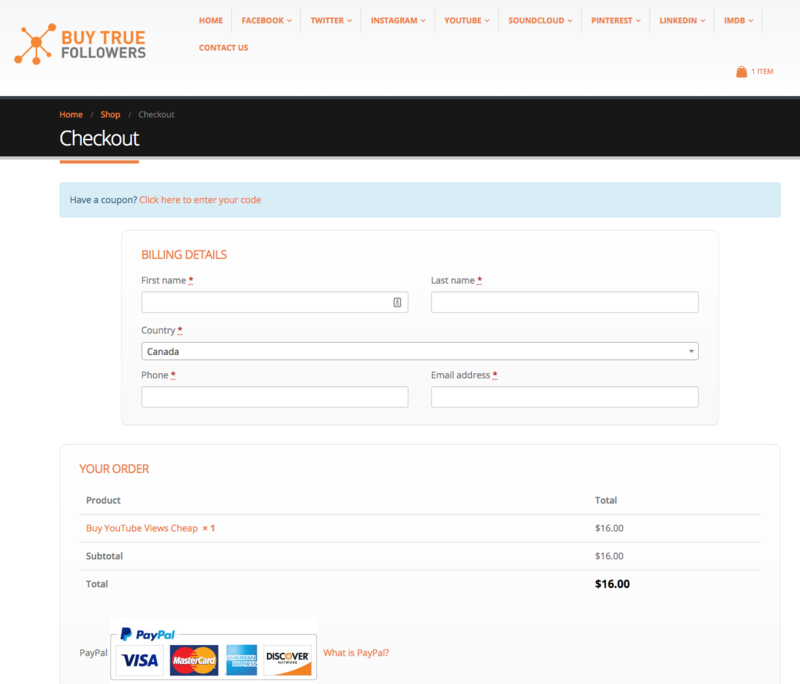 Have you bought from Buy True Followers? Review them below so to share you experience.